Typically, both upper and lower teeth need to be repaired to their optimal form so they function well and look better. As with every procedure at Abington Center for Cosmetic & Family Dentistry, your oral health is paramount, so Dr. Dennis and his team employs an ideal combination of treatments to help you achieve that. Typically, both upper and lower teeth need to be repaired to their optimal form so they function well and look better. 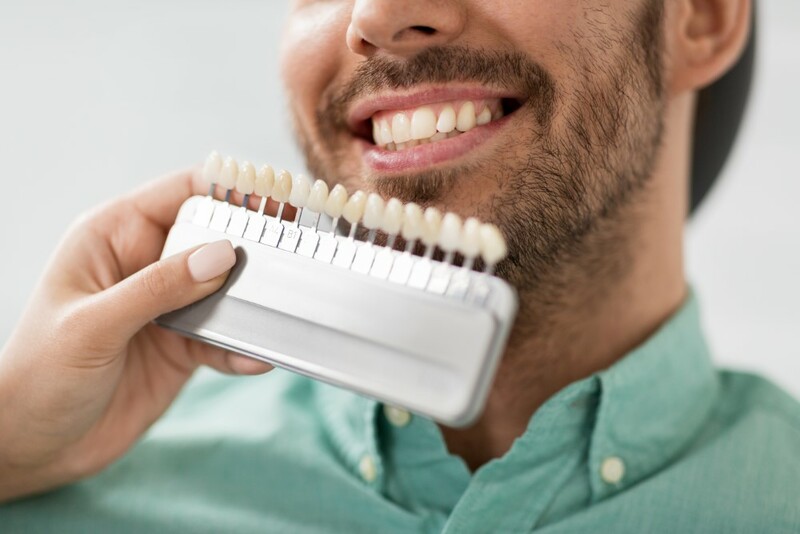 As with every procedure at Abington Center for Family & Cosmetic Dentistry, your oral health is paramount, so Dr. Dennis employs an ideal combination of treatments to help you achieve that. Who can benefit from full mouth reconstruction? Men and women who have experienced trauma or an illness that affected their teeth can benefit from full mouth reconstruction to restore their smile and self-confidence. Additionally, those with excessive decay, injured or missing teeth, or teeth that are severely worn from medications, diet, or the effects of bruxism (involuntary teeth grinding) may also look and feel better after undergoing restorative dental procedures. The extent of the reconstruction you need largely depends on the amount of existing decay or damage. Dr. Dennis evaluates your whole mouth, and all aspects of your oral health and general health, so he can recommend the most effective, comprehensive treatment options. What is the difference between full mouth reconstruction and a smile makeover? Full mouth reconstruction is typically considered a necessity for healthier teeth and gums and better function. It can also prevent further damage and decay from making your condition worse. A typical “smile makeover” is elective, meaning it isn’t absolutely necessary dental work, but focuses on the cosmetic aspect to improve the appearance of your teeth. With today’s technology, it’s easier than ever to get full mouth reconstruction that not only improves your oral health and function, but makes your teeth look more beautiful, too. Reconstructive procedures are intended to be a long-term solution to your overall dental health. If you’re considering full mouth reconstruction in the Clarks Summit or Scranton areas, schedule a consultation using the online booking system or call the office today.